For many years, little has been known of the City of Tagbilaran that nestles on a sea, protected from the southwest monsoon by the island of Panglao and from the cold stream of the north wind by the Maribojoc mountain range. This once unheralded town has been under the mantle of the Province of Bohol until it became a Chartered City on July 1, 1966 by virtue of Republic Act No. 4660, that she made a name of her own. How the city got its name is still vague to many chroniclers. Tagbilaran as a settlement is known to have dated back as early as the 15th Century known as the “Bool Kingdom”. On account of her peculiar geographic location, it has been bruited that the place was first named TINABILAN, which means “screened”, as she is shielded on the southwest by Panglao Island. But tradition has it that the word “Tagbilaran” was derived from the word TAGUBILAAN, a contraction from two local dialects TAGU (to hide) and BILAAN (a Muslim marauder tribe), which means a place hidden from the pillaging Muslims. How it finally evolved into her present name TAGBILARAN must have been the work of the Spanish conquistadores. Tagbilaran started as a small settlement of natives who swore by the spirit of the Anito, a pagan god, in the vicinity of lower Mansasa. They were simple in their ways and peaceful, husky in build and generally tall. These are evidenced by bones and other artifacts excavated by self-styled archeologists along the shorelines, which they asserted to be the natives’ burial grounds. Early settlers have established trade relations with China, Malaysia and Indonesia. During the later years of the Spanish era, a more advanced and civilized community was established at Sitio Ubos, the lower coastal portion at the back of the present Cathedral compound. All phases of activities — mercantile or otherwise — were confined to this little settlement by the sea. Most of their houses were made of local materials like bamboo, molave and nipa, except for a few which were made of limestones and bricks. As the population of the settlement grew, the upper portion of the coastal area was developed from with what is now the Cathedral compound spreading towards the east and northeast directions. One of the most important historical events etched in the annals in the Philippine history and immortalized in canvass by the famous Filipino painter Juan Luna as one of his masterpieces, is the famous Blood Compact between Datu Sikatuna, a local native chieftain, and Captain Miguel Lopez de Legaspi, the intrepid Spanish explorer and colonizer. That historic event took place on an unpretentious coast of Bool, now a district of Tagbilaran, on March 16, 1565, a day after Miguel Lopez de Legaspi and his crew of conquistadores on four ships were drifted into the shores of Bool during the course of their trip to the province of Butuan from Camiguin Island because of strong southwest monsoon winds and low tide. On that day, March 16, 1565, Captain General Miguel Lopez de Legaspi, the conquistador from Zumaraga, Spain, with Fray Andres de Urdaneta and some of his crew set foot on land for an audience with the local chieftain Sikatuna. The two bands of different nationalities, race and creed met at a murky place, a few hundred meters away from the beach, and after a few pleasantries, the Basque seafarer and the native chieftain of Bool sealed off and strengthened their newborn friendship in a historic Blood Compact. In that Blood Compact, Sikatuna and Legaspi each made a cut on the left arm and collected the dripping blood oozing therefrom in a single vessel and mixed with wine. From that single vessel, two others were filled giving one to Sikatuna and the other to Legaspi. The two leaders drank the mixture of their blood. The Blood Compact sealed the ties of friendship between two people once different in religion, nationality, culture and civilization. The Tagbilaran native chieftain who swore by his ancestral Anito and Bathala, and the Spanish intrepid explorer and colonizer who sought New World with the sword and the cross, drank to the common cause – friendship. It was the first international treaty of friendship and comity between the Filipinos and Spaniards. To perpetuate the memory and spirit of that first treaty of friendship and comity, the late President Elpidio Quirino established the “Order of Sikatuna”, a presidential award and decoration conferred upon visiting dignitaries. A historical marker now stands on the very spot where Sikatuna and Legaspi perpetrated that famous Blood Compact. Another significant event that took place in Tagbilaran City was the battle of Ubujan where a guerilla unit under the command of Captain Francisco Salazar, nome-de-guerre of Vicente Cubello who engaged a Japanese troop against overwhelming odds. It was a display of Boholano bravery of raw and naked courage against a well-equipped and well trained Japanese soldiers. The battle, however, cost the life of Captain Salazar. Tagbilaran was once part of the town of Baclayon. In the year 1741, the Father Rector of the Jesuits in Bohol, Father Cesar Felipe Doria, writing from his “Residencia” in Loboc, Bohol, said that the population of Baclayon was already one thousand six hundred (1,600) tributes or taxpayers. The total population going to confession was more than eight thousand (8,000) inhabitants. In his opinion, this number was now impossible to administer by a single priest, especially in spiritual matters. Fr. Doria petitioned his superiors for the division of the town of Baclayon and create another town from it to be named “San Jose de Tagbilaran”. In his petition to the Superior Administrator, Father Cesar Felipe Doria gave the following reasons to support his request for the creation of a new town. First, it is observed that the town of Baclayon has come up to more than one thousand six hundred (1,600) tributes and more than eight thousand (8,000) souls to take confessions. This excessive number is hardly possible to administer by a single priest, not even with two priests during the feast days and usually during celebrations of Holy Mass. The greater part of the people are found outside the church because they could not be accommodated within the building even though this church is the most capacious in the whole Visayas. Second, due to the extensive number of the people it could not easily be ascertained as to who got absent, that is why many people could chance not to hear mass on holy days without having been noticed by church authorities. Third, the town has a very extended area. To be precise, when the natives leave to make their farms and other occupations for their sustenance, it is not possible for the priest or his officials to find out whether they do it for the dissidents (por los montes). Indios having trouble in their sowing, favor the said division. Fourth, it is difficult to form the tax-census of the church, much more impossible to execute it. It is difficult to follow up the Indios who remain outside of the tax-census which results to their lack of spiritual living. Because of their liberty they lack the instructions of their soul, and as a result all those who stay outside of said tax-census do not pay tribute, which is notably prejudicial to Spain. Fifth, the last reason is a matter of judgment. In a short while, the said town will reach at a number of two thousand (2,000) tributes, therefore becoming difficult to administer. It is clear that the upper class (principales) and natives of Baclayon are very desirous of the division. It would be noted in the first and second reason given, that the priest was only interested in spiritual matters, the tax-census, and the tributes paid by the inhabitants. They wanted that everyone be included in the tax-census so that they can be accounted to attend church services. The third reason cited is very revealing to the actual political situation in the area. Father Doria said “….when the natives leave to make their farms and other occupations, it is not possible to find out and know whether they do it for the dissidents”. The year was 1741, and the Dagohoy Revolt started in 1744 or three years later. Therefore, it clearly indicated that there were already “dissidents” or dissatisfied residents even before the start of the Dagohoy Revolution. During the Dagohoy Revolution in Bohol, the sectoral leader in the Tagbilaran area was a man named Calixto Sotero who was of noble birth. Sotero was very well respected that the people paid their tribute or taxes to him rather than to the priests. Even after Tagbilaran was established as a town and during the incumbencies of Gobernadorcillos (now called Mayors) Don Martin Flores and Don Manuel de la Peña, these two chose to pay tribute in the amount of one thousand pesos (PhP1,000) to Calixto Sotero rather than to the Spaniards. It is discernible that the fear of the Spaniards of the control and influence of the dissidents impelled the Spaniards to establish the town of Tagbilaran. The statement that “…Indios having trouble in their sowing favor the said division” simply means that those who sided with the Spaniards were harassed by the dissidents and therefore desirous for the division of the town of Baclayon in order that they will be afforded more protection by the superior arms of the Spaniards. This clearly show that in the 18th century Tagbilaran, Sitio Ubos of Poblacion existed already as a trading port of the Chinese. It may sound contrary to the previous statement of the first Spanish missionaries that the area was shallow and difficult to navigate by boat. It must be borne in mind that Chinese junks were shallow draft boats and almost flat-bottomed and therefore can navigate in shallow waters. The Spanish ships of European design had deeper draft and therefore will have difficulty in navigating shallow waters. To the Chinese, Tagbilaran area was an excellent harbor to berth. A very revealing statement of Father Doria is the statement, “…where live the great part of the Indios of Baclayon…”. Most historical writers in Bohol are of the opinion that the present area of Poblacion, Baclayon, had the most population. The above statement of Father Doria is proof that the greater part of the population was in Mansasa – Tagbilaran area. However, this area was not in the firm grip of the Spaniards. No Spanish official was assigned in the area and therefore the people could not be tax-censused. In fact, the people had more respect for Calixto Sotero in Ilihan (now Elley Hill), Ubujan, than for the Spaniards. •» Father Cesar Felipe Doria wrote a petition addressed to higher authorities for the division of the town of Baclayon into two towns. He cited five (5) reasons and requested for verification and inspection. He proposed that the new town be established either at Mansasa or Tagbilaran. •» The Governor of the Province of Cebu, General Francisco Antonio Calderon de la Barca who had jurisdiction over Bohol, replied that he could not personally do the inspection. Instead he sent a commission to verify the contents of the petition of Father Doria. Captain Juan de Toledo y Grimaldos headed the commission which made the inspection, public hearing and reconnaissance of the proposed sites. •» Captain Toledo made a report to General De la Barca regarding the result of his mission. He manifested that the contents of the petition of Father Doria were correct and merits approval. That the division of Baclayon will result in benefits and that no obstacles were presented by the native leaders. •» Basing on the report of Captain Toledo, General de la Barca sent a report to the Father Procurator General of the Jesuits. A copy of the report was sent to Fr. Doria for his record, as requested. •» The Father Procurator General of the Jesuits, Fr. Pedro Tavarnier, indorsed favorably the petition to the Advocate Fiscal for a grant of license to divide the town Baclayon. •» On January 30, 1742 the Advocate Fiscal approved the petition. He signed and sealed it in the name of the Governor-General. •» The Advocate Fiscal indorsed the papers he received from the Procurator General to the Office of the Governor-General. He recommended that the town officials to govern the population shall be selected from the natives of the place and that the native populace will erect the church and the parsonage. That the Alcalde Mayor of Cebu shall support the smooth and full execution of the order. •» On February 8, 1742 the report of the Advocate Fiscal was received at the Executive House and signed and sealed by the Adviser Doctor Josef Correa Villareal in the name of the Governor General. •» On February 9, 1742 Adviser Josef Correa Villareal prepared the decree. The additional provisions were: The families to be made part of the Tagbilaran should do it at their own volition; the boundaries should be marked; and the officials shall assign a priest. The decree was signed by the Governor-General Gaspar de la Torre and sealed. •» On February 13, 1742 the decree was indorsed to the Father Provincial of the Jesuits, Father Fulgencio Esperimbergo who ordered that the contents of the decree be implemented. •» On February 15, 1742 a copy of the decree and petition was sent to the Royal Bookkeeper, Don Miguel Antonio de San Esteban for safekeeping. •» On May 6, 1742 General Don Francisco Antonio Calderon de la Barca, Governor of the Visayas, informed Father Doria that he received the decree for the erection of the new town. However, pressing business matters impede the immediate implementation. •» General de la Barca came to Bohol on July 4, 1742 at Baclayon, Bohol, and he supervised the election of officials for the new town. •» On July 11, 1742 at Tagbilaran, the site of the new town, in the presence of the parish priest of Baclayon, Reverend Father Jose Bernardo Redoon, the elected officials were installed by General de la Barca by letting the officials confirm their obligations. On the same date, established boundary was confirmed by all. •» On July 12, 1742 at Tagbilaran, General de la Barca confirmed the tax-census of six hundred (600) tributees to be divided into six (6) “cabezeras” or family groupings. The town was now deemed to start its function and duties as a town of Tagbilaran. Father Reddon was incharge to supervise the new town. It is to the credit of the Spanish officials that they did not want to establish or start a new town without first electing the officials for the new town. On July 4, 1742 at Baclayon, Bohol, General de la Barca conducted the election of the officials for Tagbilaran by majority vote. These officials were installed on July 11, 1742 at Tagbilaran, which was the site of the new town. It was General Francisco Antonio Calderon de la Barca who personally supervised the installation of these officials. It must be noted that General de la Barca was accompanied by other Spanish officials who acted as witnesses. The new town had a tax census which showed that six hundred (600) tributes will compose the new town of Tagbilaran. It means that out of the 1,600 tributes or taxpayers of Baclayon, 600 tributes were the new composition of Tagbilaran to build the church and parsonage. This very general description of the boundaries which was apparently erroneous would later on cause conflicts between the surrounding towns as to the correct boundaries. The actual location of the boundary at Guiwanon, Baclayon, was later on resolved in 1832 by Captain Manuel Sanz, the conqueror of Dagohoy’s men. The conflict of boundaries between the town of Cortes and Tagbilaran is still going on. The boundary at Anislag, Corella has not been properly resolved because the location of Lagnason is not accurate. The present location of Lagnason is not located in the place indicated in the description of the boundary described in 1742. In 1738, Father Juan Francisco de San Antonio, O.S.F., wrote about the religious estate in the Philippines. He said, “In the island of Bohol, in the villages of Loboc, Baclayon, Dauis, Maribojoc, San Miguel de Hagna, Talibon and Ynabanga…” This indicate that in 1738 the town of Tagbilaran was not yet in existence. This indicated that Tagbilaran was yet a new town in 1751. The above quoted references would verify that Tagbilaran was established between the years 1738 and 1751. The first civil government of Bohol, which was independent from Spanish rule, was formed in April 1899 when Vice-Governor Salustiano Borja was the ex-officio Municipal President of Tagbilaran. The Municipal President was then called “Kapitan” or Gobernadorcillo until it was changed to “Presidente Municipal” in 1913, then finally to “Mayor” immediately after the Second World War. Kapitan Anecito Clarin Father of Senator Jose A. Clarin. Kapitan Jacinto Borja Grandfather of Jacinto C. Borja, one time Ambassador and Governor of Bohol. Kapitan Claudio Gallares Father of Presidente Celestino Gallares, one-time Governor. Presidente Celestino G. Gallares One-time Congressman of the 1st District of Bohol. Presidente Gregorio Peñaflor Succeeded Presidente Jacinto Remolador who died during his term. Presidente Timoteo Butalid Father of Mayor Rolando G. Butalid. Mayor Genaro Visarra Elected Assemblyman before his term as Mayor expired. Mayor Honorio P. Grupo Mayor during the Japanese occupation. Mayor Pedro Belderol First elected Mayor after the war. Mayor Venancio P. Inting Last Municipal Mayor and carried over as first City Mayor. Mayor Rolando G. Butalid Became the Governor of Bohol after his stint as a Mayor. Mayor Jose Ma. Rocha Designated during Martial Law. Mayor Jose V. Torralba Designated OIC Mayor, first elected Mayor after EDSA revolution. It was during the term of Presidente Celestino Gallares (1913-1916) when major changes happened in Tagbilaran. He himself drafted the what is now known as the “Gallares Town Plan”, wherein the existing street patterns are being followed. The telephone system and the municipal library were established. He ignited the civic spirit of the people in the organizing associations and clubs that worked for the progress of the town. He donated portions of his lands for public use and changed the “Talipapa” into a real Public Market by erecting permanent buildings. The Bohol Provincial Hospital and the Airport were constructed during his term. Due to his good work he was elected congressman of the First Congressional District of Bohol and it was at this time when he was one of those sent with the Philippine Mission to the United States. Gallares serve for several terms as governor of Bohol after which he retired from politics. Although the spirit and ideas of the Gallares plan gradually waved after his term. Presidente Timoteo Butalid revived this spirit when he declared that his term would be devoted to a labor-intensive road construction work. “Iyo Tiyoy” as he was fondly called, led in the handling of the pick and shovel immediately after taking oath of office, when he became an acting Governor of Bohol, he worked for the construction of Tagbilaran-Songculan causeway, now officially known as Butalid Causeway. The administration of Mayor Pedro Belderol was marked by the opening of new city roads, the initial installation of prefabricated school buildings, the establishment of a fire department and the purchase of the only two fire trucks of the city and the construction of the Bo-ol and Cogon market buildings which were not made use of the succeeding administration. The Belderol administration was also marked by a combined national and provincial political odds. His opposition to the then President Carlos P. Garcia, caused his damaging defeat in his attempt for the fourth term. Mayor Venancio P. Inting succeeded Belderol. With Garcia in power, Inting could have all the opportunities for the full development of Tagbilaran, although it was during his term that Tagbilaran became a chartered city on July 1, 1966. Mayor Rolando Butalid, after defeating Inting in the election of 1971 was installed on December 31 of the same year. His first elective term expired December 31, 1975. One of the major acts of Mayor Rolando Butalid was the development and activation of the Cogon market which was left idle by the former administration by converting the adjacent area into a bus terminal. Although the finances were crippled by the catastrophic fire which gutted down the Tagbilaran Public Market, Mayor Butalid was determined to face the challenges of development. He transferred the business activities from the burnt public market site to Cogon market and expanded business in the area to its present condition, which practically recovered in less than a month’s time the depleted income of the City incurred by the fire. With his development-oriented administration and guided by a framework plan prepared by the City Planning and Development Board (CPDB), Mayor Butalid had the assurance of Tagbilaran’s progress. It was during his incumbency that a new political upheaval took place — the Proclamation of “Martial Law” all over the land by then President Ferdinand Marcos where many things were happening. But the most testing problem of his time was to change the attitudes of the people, especially government officials, from hoary bents of minds to the innovations introduced under the New Society. After the Second World War, Tagbilaran became the center of learning in the Province of Bohol. Besides the public elementary schools, the Provincial High School and the Bohol School of Arts and Trades give secondary education aside from six (6) other private institutions giving primary, secondary and tertiary instructions namely the College of the Holy Spirit (CHS), the Philippine Maritime Institute (PMI), the Immaculate Heart of Mary Seminary (IHMS), the University of Bohol (UB), Divine World College (DWC-T) and the Bohol Wisdom School. Specialized course institutions include the Bohol Provincial Hospital School of Nursing (BPHSN), the French Art School, the Bohol Technical Institute (BTI), the CONNEL Typewriting School, the Najarro Nursery School for children, and the Cathedral Nursery School. The colleges offer engineering courses, education courses with various majors, law, commerce course with various majors as well as post graduate courses. On July 1, 1966 by virtue of R.A. 4660, Tagbilaran became a chartered City. 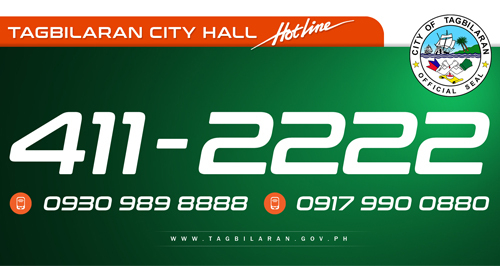 The political transition of Tagbilaran from a town/municipality of Bohol to its present status of a chartered city brought about a significant level of development in view of the increase in the share of the internal revenue allotment from the national government to the city. With the passage of Republic Act No. 7160, otherwise known as the Local Government Code of 1991, radical changes was wrought out in the whole gamut of the city government structure. 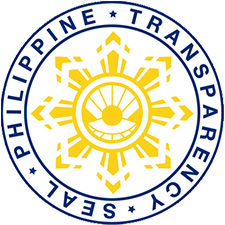 The present organizational hierarchy of the City Government includes 16 department level offices, 7 non-departmental level office and 7 non-organic offices. By the year 1741, Fr. Cesar Felipe Doria, the Father Rector of the Jesuits in Bohol requested the higher authorities that the town of Baclayon be divided into two towns. There were already 8,000 inhabitants who go to confession every Sunday and it could not be handled by one priest. The recommended sites of the new town were Manzaza (Mansasa) and Tagbilaran (now Sitio Ubos). The decree provided that the families to compose Tagbilaran should be those who choose to secede at their own volition; the boundaries should be marked; officials shall be elected; the number of tributes shall be accounted; and the Father Provincial of the Jesuits shall assign a priest. On 4 July 1742, General Don Francisco Antonio Calderon de la Barca, the Governor of the Visayas, supervised the election of officials for the new town of San Jose de Tagbilaran. It was by viva voce or voice vote conducted at Baclayon, Bohol. On July 11, 1742 at Tagbilaran, the site of the new town was established in the presence of Fr. Bernardo Redoon (or Rezon). The elected officials were installed into office by General De la Barca by letting them confirm their obligations. On the same date, the established boundary was confirmed. The whole population was divided into six (6) Barangay or Family Groupings. They lived in a general location with names but without boundaries such as Poblacion, Mansasa, Dampas, Cogon, Bo-oy, Ubujan, Cabawan, and Uadje (now: De la Paz, Cortes). Only the town had a boundary. On 16 July 1952, during its regular session, the Municipal Council of Tagbilaran filed a resolution to convert Tagbilaran, Bohol into a city. It was filed by Councilor Hilarion Zamora and duly seconded by Councilor Juan Cacho. When Congressman Luis T. Clarin filed House Bill No. 3351 proposing the granting of a City Charter to the Municipality of Tagbilaran, it was blocked by the Provincial Board of Bohol composed of Gov. Juan C. Pajo and Board Members Timoteo R. Butalid and Diosdado R. Delima. On March 18, 1953 the Provincial Board passed Resolution No. 127 opposing the granting of the City Charter. In 1965 the three Congressmen of Bohol sponsored the Bill to convert Tagbilaran into a City. On June 18, 1966 President Ferdinand Marcos signed into law R.A. 4660, otherwise known as the City Charter of Tagbilaran. The law provided that the City of Tagbilaran will begin to exist on July 1, 1966. Among these officials, the ones still alive are Luciano Pamaong (now living in Canada) and Atty. Jose Torralba. Atty. Jose Torralba, from the Liberal Party, was the lone opposition councilor. The others were from the Nacionalista Party. It is significant to note that it is only Atty. Jose Torralba who became a City Mayor of Tagbilaran. FY 1975-1976 to FY 1995-1996. Jes B. Tirol – History of Tagbilaran up to 1742 A.D.